“How do you travel with kids so long – and not go broke?” We’ve been travelling full-time for 2 years, and this is one of our most frequently asked questions! To do it, plain and simple, we do what others may not like – and that’s, stick to a tight budget. If travel or a major saving goal is important to you, you find a way and get used to living on a tighter budget. The little sacrifice we make in our food budget each week, pays out in big rewards of being able to travel with kids. Here are 8 best tips (with 7 dinner examples!) on how you can cut down your regular food bill, keeping your families hungry mouths fed and start dreaming about travelling more. BONUS!! 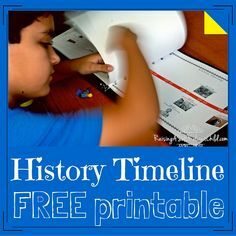 Join our email community and receive this printable resource plus more FREE! Make almost everything from scratch. Don’t use jars of pre-mixed bases and cut down on the convenience food. Once you get the hang of it, it really is easy! Eat whole foods such as brown rice, quinoa and loads of veggies. Use simple quality meats and proteins, that may seem to cost more, but are actually more filling. Spend a little more on basic ingredients, and you will find you will eat less! How could this not be here? Keep It Super Simple. Seriously the last thing you want to be doing after a week of camping, or at home is a load of dishes. Save your fancy meals for once a fortnight. Choose one pot wonders. Change your mindset from providing the perfect looking meal, to the best nutritionally dense and tasty food you can offer. Whole foods are more filling! For snacks, we eat boiled eggs, no-cook bliss balls, nuts, fruit, tinned fish and Rice and Quinoa crackers with varying toppings to keep it interesting. Its no piece of cake, but we are all so much healthier for it. Need More Free Things To Do? Here are 10 Activities In Cairns You Can Do For Free! 4. Fill half your plate with veggies. If you fill half your families plate with the good stuff, how can you possibly put more of the fatty or less nutrient dense foods on your plate? Sure it’s convenient, but shopping at Roadside stalls, Farmers Markets and Fruit & Veg shops will leave you with a lot more money in your purse Shopping at fruit and veg markets can take $50 off my weekly shop. Shop for the fruit and veg first, that way you can’t overspend on the rest. We are on limited space. I get it. But freeze something that can save you time, money and effort later on. Making pumpkin soup, double it and freeze your way to a night off cooking. Made Pesto crust for your grilled salmon, freeze the topping and save the extra clean up. Label it well and dont forget what you have in your fridge, freezer and cupboards. We’ve all heard it, and we even do it … sometimes. But I can guarantee you, that if you Meal Plan your camping meals you will save yourself a ton of money and possibly even wastage. Want your kids to eat healthier? Empower them with their choices and benefits. I love being a homeschool mum that we can really go in-depth on the benefits of eating healthy and long-term self-care. Chicken drumsticks are a staple in most peoples diet. They are also an excellent source of protein, essential amino acids and several vitamins and minerals. Drumsticks are so versatile that they absorb any flavour and can be cooked in any method – grill, pan, oven and even campfire. Serve with a salad, lovingly made by your kids. Let them decide on ANY salad ingredients they want. Nope, I don’t like how it looks. Yes, I could do better myself. But they made it and therefore will more likely eat it. Food always tastes better when its made with love, and so hopefully your kids will enjoy it as much as you do. Nutritionist don’t call Salmon “the perfect brain” food for no reason! Packed with DHA and Omegas it helps the brain, central nervous system and retinas function with its oily golden goodness. Oily fish has been a great weekly addition to our families ADHD/ASD diet needs. Salmon is expensive per kilo, but you can combat this by buying in bulk and limiting your portion to just 100g per serve. Couple it with a high carb side of home fried garlic potatoes or sweet potatoes and you will have a power packed meal on a ‘cheap as’ family budget. Eat your way to happiness! Regularly eating Turkey has all the nutrients that can help you feel awesome. This is such a super simple recipe. Change the flavours of your base every week, and no one will ever know its the same ingredients. Fry Turkey Mince in the pan or on a campfire. Add as many finely chopped veggies as possible and choose your topping flavours – we like a little a little chilli, lemongrass and Kecap Manis (sweet soy). Serve your meal to your hungry family in as little as 20 minutes with brown rice or quinoa. I get my kids to eat Brussel sprouts, are you kidding me! No, I’m not and it doesn’t even involve bribing them! As you know I am a homeschooling mum. As such we have had many lessons on what the benefits are of eating different foods, even when they don’t taste as good as chocolate. Add more veggies, noodles and nuts, than meat to keep this family favourite’s price low. Involve the kids and you never know what they will eat next. Granny would be proud with this weekly dinner. A rich red meat protein source every week will keep your iron and energy levels sorted. We combine regular mash potato with mashed sweet potato to give the extra boost of Vitamin A and a lower GI. Spend more money on a more leaner, quality and ultimately filling cut of meat, than buying loads of half quality ingredients. Even better when you find it on quick sale like I did with this Organic Lamb Loin for $6 per kilo! Have you ever eaten creamy Apricot chicken and it’s bright orange? Well, I am sorry to tell you, but that was not real food you ate! Making Apricot Chicken from scratch is not only super easy, but with only 5 ingredients this truly makes a great weekend or must do camping meals. Add extra liquids and hide grated up veggies in their for your kids. It may be Saturday, but no need to let them off eating their veggies every weekend especially when there is a delicous creamy sauce to cover them. Don’t like Tofu, add meat. Sunday nights must have super simple dinners for our busy and travelling family. For us, Sunday night everyone must help. Choose a pre-marinated Tofu or meat. Add loads of natures perfect food – the humble egg with its impressive range of vitamins and minerals and generously garnish with fibre-filling nuts or seeds. Empower your kids to cook. Impressive – Even 9-year-olds can cook healthy dinners! Want cheap and easy food ideas? Click this and let’s go! Thanks for reading. My name is Noela, and I’m a self-confessed travel fanatic and unshakeable optimist! 3 years of full-time travel, 7 different countries, 2 incredible childhoods – and we’re nowhere near done! We wanted to not waste a moment of our kids’ childhood, live a life with no regrets and were prepared to jump out of our comfort level to do it! We budget, we adventure, and love nothing more than the feeling a fresh adventure and dirt beneath our toes. If you want to travel more too, join our email community and follow our Social Media where we share our best tips and destinations for you. Reach out if you want to connect. 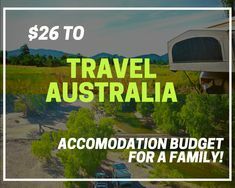 Tagged Travel with Kids, Travel Budget, How much to Travel Australia, Healthy Meals, Eating well on the road. Hi, we’re Joe, Noela, Rob and Abby! 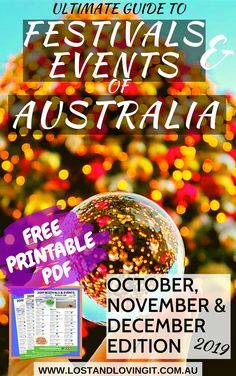 We packed up our lives to road trip Australia and travel with kids around the world. We are passionate about putting family first, travel, home schooling and living your best life. Are you using these 23 FREE Travel Apps for caravan and camping in Australia? Family Caravan and Camping Checklist (with free printable): 210 items that you can’t forget!